You may wonder why a mid-sized Roman Catholic and Franciscan university in eastern Pennsylvania is devoting a day to celebrating all things Canadian; however, the reason is not as strange as you might think. Neumann University decided to set aside this day to acknowledge and honor all of its students that hail from their neighbor to the north. 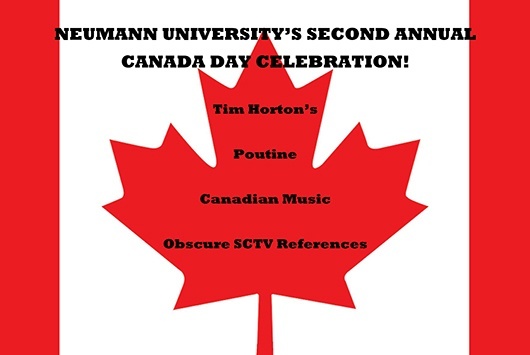 This year Neumann University celebrates its second Canada Day on April 27 from 1-3 p.m. in Bachmann lobby. Neumann University’s Canadian students make up the largest single group of foreign students to call Aston, Pennsylvania, their home for nine months of the year. With students from Manitoba, Ontario, Newfoundland, Saskatchewan and British Columbia, Neumann’s Canadian students hail from across the country.